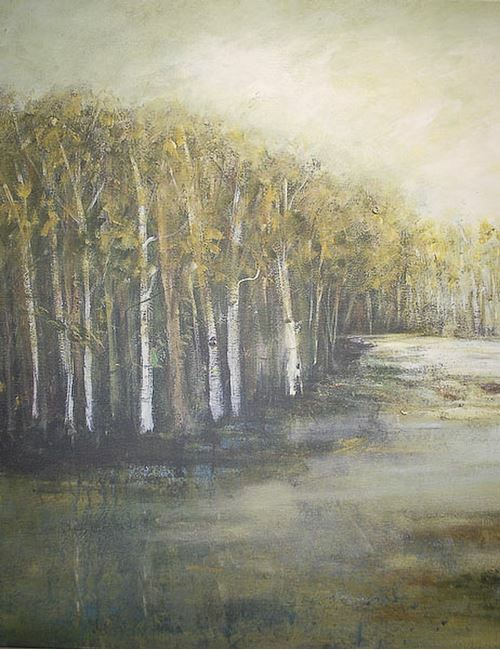 A soft birch tree forest and water available in one or two piece composition.This is the left hand piece. Beverly Crawfords painterly landscape draws you into a quiet birch tree landscape surrounding still waters in soft green tones. Available as a one or two-piece composition.